Allover yarn: Summer Top With Daisy Stitch! Summer Top With Daisy Stitch! Summer Top Daisy Stitch - With this trendy summer top you'll create a basic but fashionable item which can be combined in all sorts of ways. Wear it on top of a sturdy jeans, match it with some neat pants and vary in colours. With such an item you'll hope summer never ends, right? Read along for the free knitting pattern! This stylish summer top is knitted in daisy stitch with the soft and glossy cotton yarn Phildar Phil Coton 4. This cute fantasy stitch makes sure you'll get a firm top with a pretty look that can be combined in all sorts of ways! Wear it with some sturdy shorts on a warm summer day of combine it with a cute cardigan on breezy summer evenings. Do you want to style this top to your own taste? You can! Pick a different colour or try a closed back for a more subtle effect. Bet this beautiful top will be your favourite item this summer? The number of stitches needs to be a multiple of 4 + 3 + 1 edge stitch on each end. Row 1 (right side of your work): knit all sts. Row 2: edge st. 1, *purl 3 sts. tog., don't slip off the 3 sts., yarn over, purl these 3 sts. tog. again and then let them slip off your needle, purl 1*, repeat from *to*, end with purling 3 sts. tog., don't slip off the 3 sts., yarn over, purl these 3 sts. tog. again and then let them slip off your needle, edge st. 1. Row 4: edge st. 1, purl 2, *purl 3 sts. tog., don't slip off the 3 sts., yarn over, purl these 3 sts. tog. again and then let them slip off your needle, purl 1*, repeat from *to*, end with purl 1 and edge st. 1. Continuously repeat these 5 needles. 10 x 10 cm = 26 sts. and 23 rows. Cast on A) 106, B) 114, C) 122, D) 134, E) 150 sts. with knitting needles no. 3,5 and knit rib st. 1/1 for 6 cm (16 rows). Divide the piece in two and continue with needles no. 5 in fantasy stitch with the A) 53, B) 57, C) 61, D) 67, E) 75 sts. on the right and put the A) 53, B) 57, C) 61, D) 67,E) 75 sts. on the left on hold on the stitch holder. A) 1 x 4 sts., then every 2nd row: 4 x 2 sts. B) 1 x 4 sts., then every 2nd row: 5 x 2 sts. C) 1 x 4 sts., then every 2nd row: 1 x 4 sts. and 5 x 2 sts. D) 1 x 4 sts., then every 2nd row: 2 x 4 sts. and 5 x 2 sts. E) 1 x 6 sts., then every 2nd row: 3 x 4 sts. and 5 x 2 sts. Remaining A) 41, B) 43, C) 43, D) 45, E) 47 sts. A)B)C) 1x 14 sts., then 2 rows up 1 x 10 sts. D)E) 1 x 16 sts., then 2 rows up 1 x 10 sts. At a total height of A) 46 cm (106 rows), B) 47 cm (108 rows), C) 48 cm (110 rows), D) 49 cm (112 rows), E) 50 cm (114 rows) after rib st. for the shoulders cast off the remaining A) 17, B) 19, C) 19, D) 19, E) 21 sts. 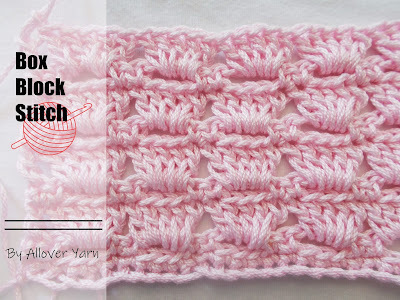 End the other split side the same way and start with the fantasy stitch in the A)B)C) 1st row, D)E) 3rd row. Cast on A) 112, B) 120, C) 128, D) 140, E) 156 sts. with knitting needles no. 3,5 and knit rib st. 1/1 for 6 cm (16 rows). Continue with needles no. 5 in fantasy stitch and increase 1 st. in the first row. You'll get: A) 113, B) 121, C) 129, D) 141, E) 157 sts. A) 1 x 8 sts., then every 2nd row: 4 x 2 sts. B) 1 x 8 sts., then every 2nd row: 5 x 2 sts. C) 1 x 8 sts., then every 2nd row: 1 x 4 sts. and 5 x 2 sts. D) 1 x 8 sts., then every 2nd row: 2 x 4 sts. and 5 x 2 sts. E) 1 x 10 sts., then every 2nd row: 3 x 4 sts. and 5 x 2 sts. Remaining A) 81, B) 85, C) 85, D) 89, E) 93 sts. At a total height of A) 37 cm (86 rows), B) 38 cm (88 rows), C) 39 cm (90 rows), D) 40 cm (92 rows), E) 41 cm (94 rows) after rib st. for the neckline cast off the middle A) B) C) 19, D) E) 23 sts., and continue each part separately. Cast off on the neckline side every 2nd row 6 x 2 sts. and 2 x 1 st.
End the other neckline side the same way. Assembly:Close the side and shoulder seams. Note: the side seams on the back are slightly moved. Work 1 round of sc. around the neckline and armholes. Make a button loop with your crochet hook at the top of the back and attach the button on the other side.